Rowen Guest House has been welcoming guests into since 1987 and hope that you also enjoy your stay with us. We provide good value accommodation, comfortable and in a relaxed, friendly atmosphere. 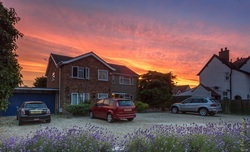 Rowen Guest House is one of few bed and breakfast nearby Abingdon town centre where guest parking is not a problem.